Anyone know what size a billings propshaft size is is it m2 or m3 trying to find a brass 35mm 3 bladed propeller to fit it one tried billings got no reply. I think that might depend upon the vessel...……..
m2 is quite a heafty shaft, and usually seen more on models of 60" and more...…...my two 46" lifeboats quite happily run on m4 or even m5...………….m2 is getting on for 6-8mm diameter, which is a beast of a shaft.even on my 72" Clyde class lifeboat I only used m4 shafts/threads. that model had 92mm propellers on it. You got that the wrong way round Neil!!!! M2 is SMALLER than M4. You are thinking BA size where the smaller the number the bigger the shaft, with metric shafts the bigger the number the bigger the shaft diameter. However Billings used both 2mm and 3mm shafts in their kits depending on the boat size. that I am mate...…...sorrreeeee…………….living in the past,. yes...…..probably is an m2...….or possibly m4...…..but I've not seen an m3 in kits.. but stand to be corrected. ..best bet would be if you have an engineering outlet around your area.....they'd soon tell you what thread...…...and then google prop shop...….best props there are......beautiful cast things, not soldered. mind you....M3.....Billing...……..yep I can believe it...…….everything was odd about their kits when I built them years ago...……….especially their choice of timber in them...…...horrible stuff. they were odd in everything they did...….even their plans were guesswork...…………. BUT...……..building those made many people good builders and great problem solvers...…..they needed to be. 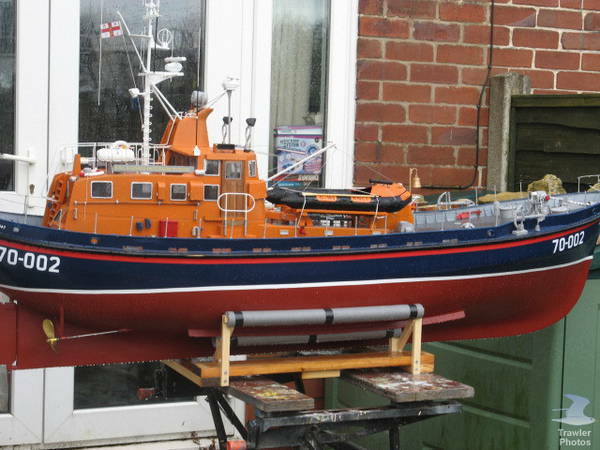 I MUST SAY THOUGH.THAT LITTLE MODEL WAS A CRACKER...……….I had a chap at the night school I taught model boat building at build one, and he made a good job of it. I built that boat many years ago and I think it was M3. Quickest way to check is get an M3 nut and see if it fits on the shaft, then as Neil mentioned talk to Protean Design/Prop shop for a new prop. They will do M3 if you need it. Quite likely to be an M3 if its a slightly older kit. I recently built an older version of Billings White Star and that was M3. i'm glad there are people on here who know what they are talking about...………..because I haven't a bl***y clue.....sorry. Thanks Guys Think its M3 Will ring propshop as there not taking online orders.